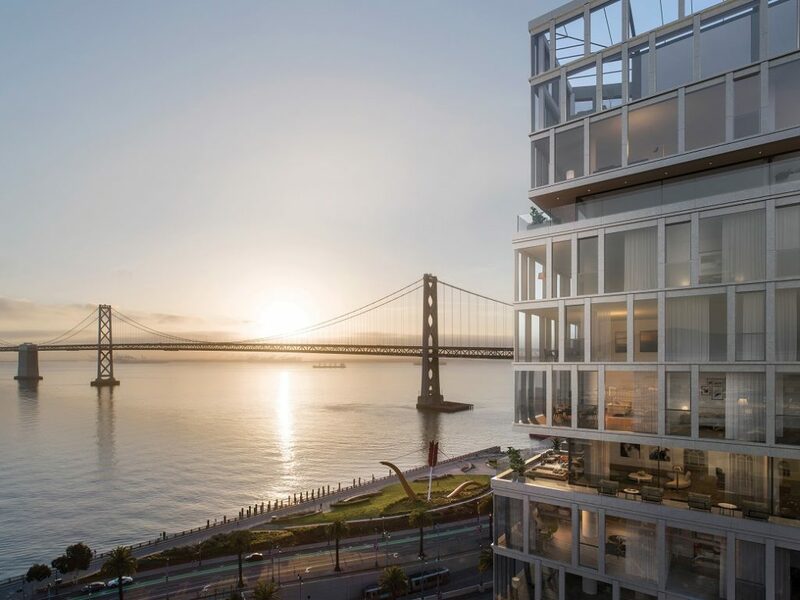 SRE Group Ltd, The John Buck Company, and Paramount Group, Inc. have officially unveiled the stunning vision for One Steuart Lane, a 20-story, last-of-its-kind condominium development situated directly along San Francisco’s waterfront. Designed by world-renowned architecture firm Skidmore, Owings & Merrill (SOM), One Steuart Lanewill evoke a sense of timeless elegance and sophistication, emulating the vast natural beauty that surrounds it. The 120 residences will comprise one- to three-bedroom floor plans as well as penthouse residences that will range in size from approximately 900 to 3,100 square feet. 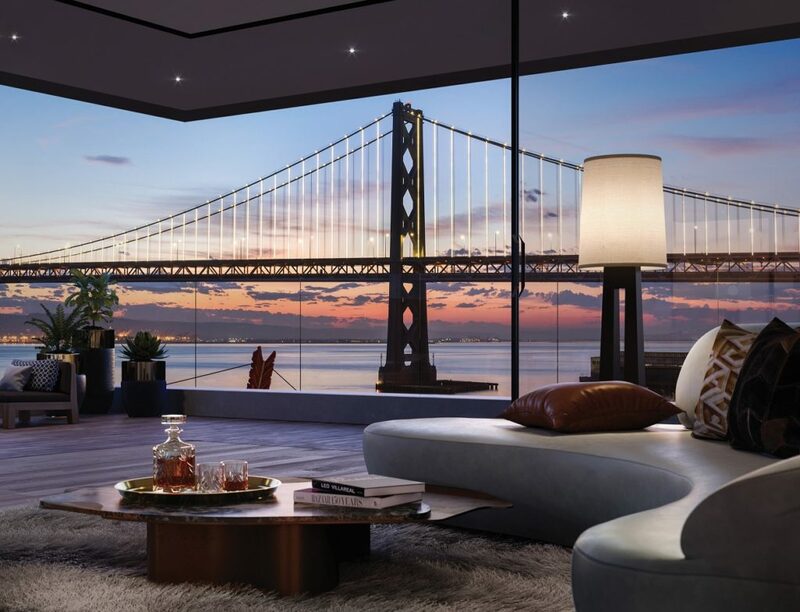 Each residence will boast floor-to-ceiling windows with elevated ceiling heights displaying extraordinary natural light, with many featuring private balconies or terraces which will boast direct, unobstructed views of the Bay Bridge and Ferry Building. 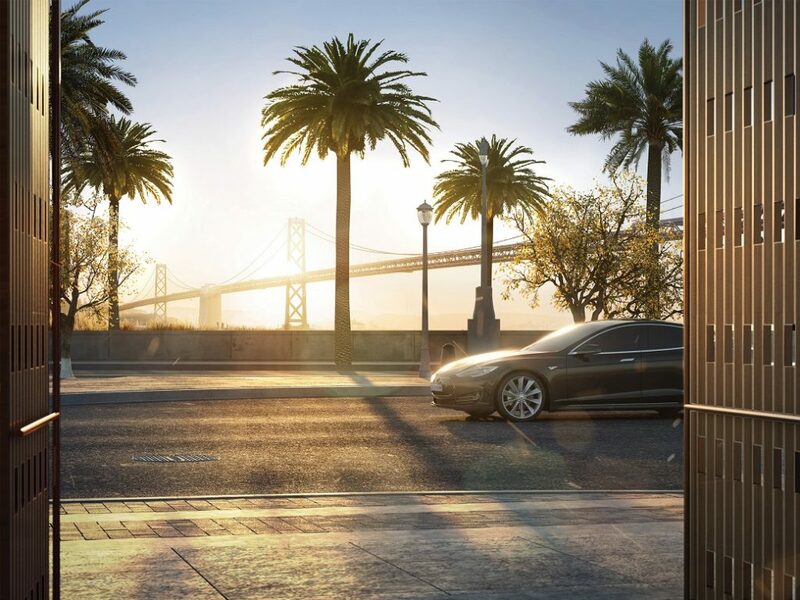 Envisioned by a team of internationally renowned designers, the rich interiors will conjure a sense of classic elegance with the finest finishes and fixtures available. A thoughtfully curated collection of amenities and services will include a residents’ lounge with full kitchen, dining and outdoor gathering spaces, private fitness center, spa with water therapy showers and sauna, outdoor jacuzzi surrounded by a sun terrace, 24-hour lobby and valet attendants along with an approximately 4,500-square-foot retail space. To achieve a vision that evokes both elegance and modernity, the development team engaged SOM and Rottet Studio to conceptualize a design that uniquely expresses the indoor-outdoor lifestyle of California living. Targeting LEED® Gold certification, One Steuart Lane will also boast a minimally reflective, ultra-clear glass facade that will take advantage of the abundant sunlight and cool ambient climate in San Francisco to passively heat the residences and reduce energy consumption. “One Steuart Lane’s ambition is to match the best site on the West Coast with truly world class architecture. 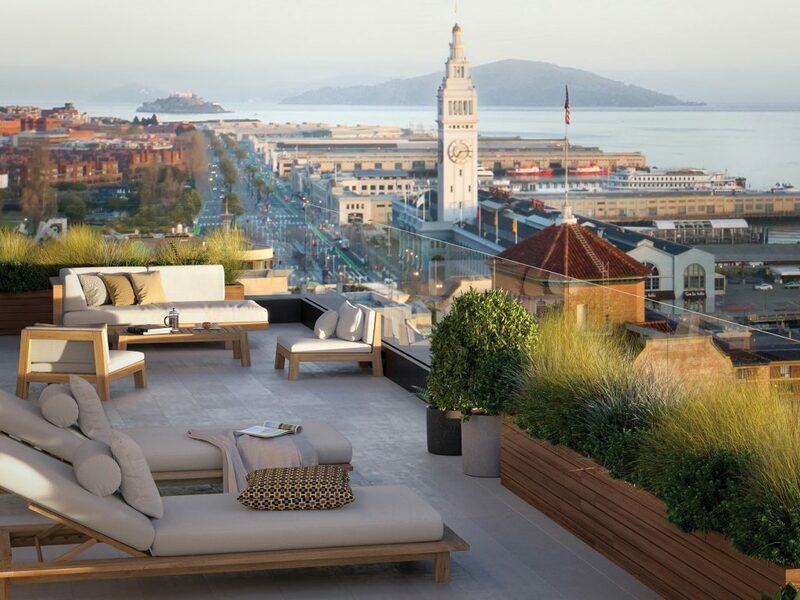 The building connects owners visually and literally with the extraordinary natural and urban beauty of San Francisco. Pairing this architecture with Rottet Studio’s renowned interiors brings a level of design to our waterfront on par with the best residences in the world,” added Mark Schwettmann, Design Director of SOM in San Francisco.Nestled on the corner of Howard and Steuart Streets, One Steuart Lane’s position on the waterfront and adjacent to Rincon Park will solidify it as an urban sanctuary tucked away from the hustle and bustle of the city. Located within a short walk of San Francisco’s financial, recreational and cultural centers, residents will enjoy unparalleled access to restaurants, retail and entertainment options, as well as a wide network of transit options, such as San Francisco’s Ferry Terminal, the new Transbay Terminal, BART and the I-80 East Freeway. One Steuart Lane is under construction with an anticipated completion in early 2021. The sales gallery is expected to open in 2020 and sales are being led by leading West Coast condominium sales and marketing company Polaris Pacific.